The semiconductor inspection system operates in the production lines to improve the quality of manufactured devices. The primary function of the semiconductor inspection system is to provide application support provisioning to enhance the quality of the product. With advancements in technology and introduction of the internet of things (IoT) into the semiconductor industry, the role of semiconductor inspection systems has become more crucial. 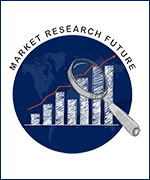 The global semiconductor inspection system market is expected to reach approximately USD 6.90 billion by 2023, registering a CAGR of 14.3% during the forecast period. The market has been divided into various segments based on type and end-user. By type, the market is segmented into wafer inspection system and mask inspection system. The wafer inspection system can maintain high process throughput apart from detecting particles on the surface and at the bottom of contact holes. Due to this, the wafer inspection system is expected to dominate the semiconductor inspection market and grow with a faster CAGR of 14.7% during the forecast period. By end-user, the market is classified into small and medium enterprises (SMEs) and large enterprises. The large enterprise segment is expected to show significant growth at a faster CAGR of 15% during the forecast period, owing to the availability of large number of equipment and huge production line. Large organizations have a strong hold on the semiconductor market and hence is projected to dominate the semiconductor industry market during the forecast period. The key players of semiconductor inspection system market include KLA-Tencor Corporation (US), ASML Holding NV (Netherlands), Applied Materials, Inc. (US), Lasertec Corporation (Japan), Hitachi High-Technologies Corp. (Japan), Nanometrics, Inc. (US), Rudolph Technologies, Inc. (US), Nikon Metrology NV (Belgium), JEOL Ltd (Japan), and Thermo Fisher Scientific, Inc. (US). By type, the wafer inspection system segment dominated the market, generating the higher revenue of USD 1,885.3 million in 2016 and is projected to be the leading market in the future, registering a 14.7% CAGR during the forecast period. By end-user, the large enterprise segment led the market by generating a higher revenue of USD 1,769.3 million in 2016 and is expected to register the highest CAGR of 15% in the forecast period. Geographically, Asia-Pacific has been projected to hold the largest market share in the global semiconductor inspection system market, followed by North America. Geographically, Asia-Pacific is dominating the global semiconductor inspection system market. It is also the fastest growing market, accounting for 15.6% of the overall market share. Significant contribution is witnessed from China, Japan, and South Korea, which are semiconductor component manufacturing markets. High demand for wafers in consumer electronics products is further driving the growth of the market in this region. North America is following Asia-Pacific in the semiconductor inspection system market. Increasing demand for high-performing and low-cost semiconductor chips and high adoption of IoT in the US, Canada, and Mexico is driving the market growth in the region.